This book was so much fun!!! For one, I think the title is perfect. There were so many fun and sweet recipes in this book and all very simple! The recipes were easy. They were yummy. Some I've seen before, but sometimes with more difficult instructions. These were all just so easy. I already said that, didn't I? :) I liked how a lot of these were easily altered too. 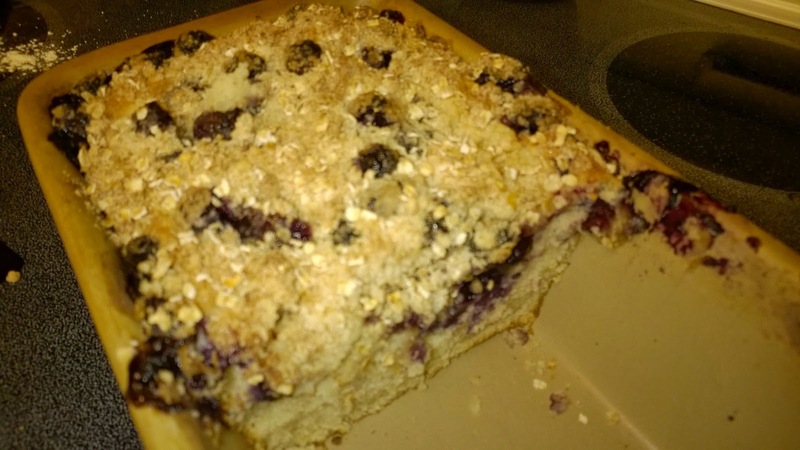 Like in the Lemon Bread with Blueberry Streusel I used yogurt and vinegar to replace the eggs since I have a son who is allergic. 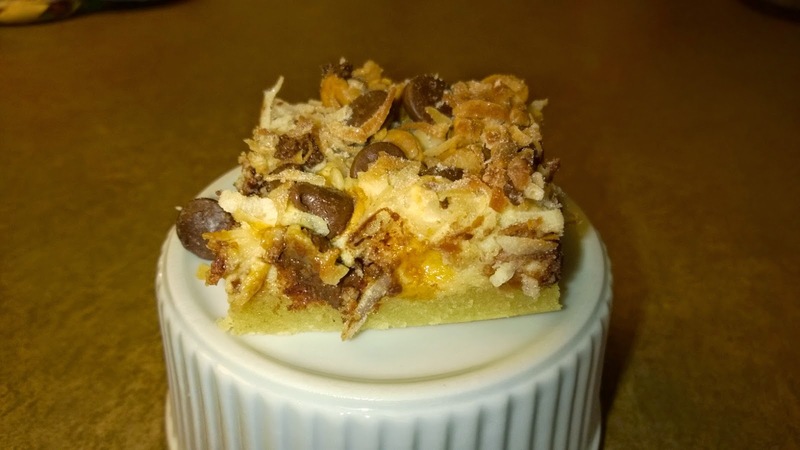 In the Abracadabra Cookie Bars I didn't use nuts since my son is allergic to those as well. For the Variety S'mores Bars I used candy bars that didn't have nuts or eggs, which this time around was Twix and Hershey's bars. The only thing that I would have liked more of was more pictures. I like to see what every recipe would look like finished. I did like how the book was organized and that every section had a different color. The page numbers were super easy to see and, thus, find as well. 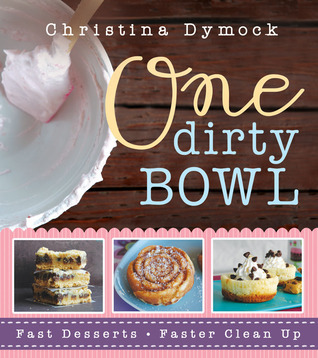 I can definitely see myself turning to One Dirty Bowl quite a bit in the future when I need to mix up a tasty treat for the family or when company is coming over. It would also make a great gift! Source: I would like to thank Cedar Fort for my complimentary review copy, which did not affect my review in any way. Caramel Mousse sounds lovely. My favorite is creme brulee. I love desert, anything sweet makes me happy! cheesecake sundaes is on the top of my list to try. i love gooey bars. I love cookbooks. Especially ones filled with sweet delicious recipes. This sound like a book we would be dipping into on a regular basis. YUM!! All the recipes sound great and my favourites are the ones that make the LEAST dirty dishes! The Abracadabra Cookie Bars look really tempting. I love how great the sundaes are and how easy and fun as well! I do love ice cream! That is my treat every Friday night. It has been really fun so far, especially with having the kids help out and pick and then help make a treat. I don't normally have a lot of time either, so I liked that about this book. Everything is pretty easy and simple. Those were yummy. Chewy with some crunch and sweet. Super easy too! Ha! You would think so, but she has lived her life acting like it is a curse. It was interesting to see her develop through this story. This looks like a fun book! Thank you for sharing! It was and is. :) We'll still be making things out of it for a while. Those are lighter and fruity, but definitely sweet. I'll wish you luck! definitely, any type of cheese cake. and did you see the cover for the second book! so amazing!